Crasner Consulting, a pre-eminent legal search and management consultancy firm, takes a look at the Hong Kong law firm market. As one of the world’s most interesting and challenging locations for international law firms to do business, this article fosters a fascinating debate for all international law firm leaders. Hong Kong is one of the Worlds’ leading financial centres, and is consistently ranked amongst the most liberal of global economies. It acts as a strategic hub for international corporates as well as Chinese investors who want to be close to their financiers whilst continuing to do business in China. Since Britain’s transfer of sovereignty in 1997 to a Special Administrative Region of the People’s Republic of China (PRC), Hong Kong has remained an economic powerhouse in Asia. There are still many challenges and potential risks for executive committees of law firms to carefully consider; namely the proximity to North Korea, the increasingly communist rule that Beijing has sought to impose on a previously fully democratic territory, as well as strong competition from Shanghai and Singapore. Yet, the strengthening of economic co-operation with the Mainland and neighbouring economies in Asia has accelerated transactional capability in Hong Kong, and as a result its growth potential has become a focus for many international law firms. 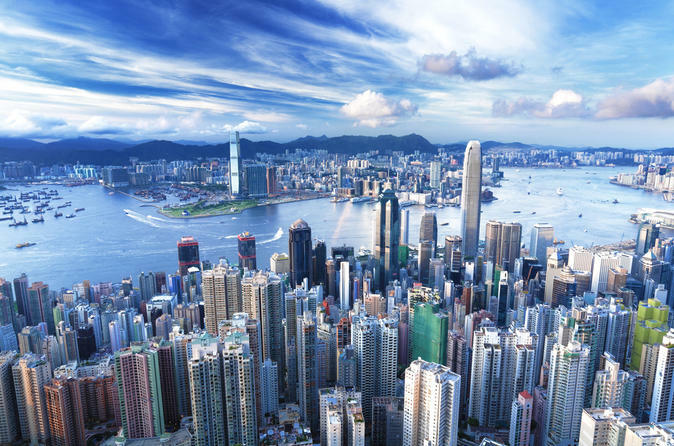 Hong Kong has long been the most popular destination for international law firms doing business in Asia. The total market comprises of 700 partners who work across 50 international firms. Only one of these firms sits within the Top 50 International listings but does not have an office in Hong Kong (King & Spalding). Clifford Chance, Allen & Overy and Mayer Brown JSM (the Asia operation of Mayer Brown which merged with a local powerhouse JSM in 2007) follow closely behind. In total there are 2000 partners between these law firms, a 62% contribution of all partners in the Asia market. Seyfarth Shaw and Morgan Lewis & Brockius are the most recent international law firms to enter the Hong Kong market. Seyfarth Shaw raided DLA Piper for their Asia employment head Julia Gorham in March 2017 to continue their global Employment law focus. Morgan Lewis & Brockius raided Orrick Herrington & Sutcliffe in a much more significant acquisition, which nearly closed down the West Coast firm when they hired nine of its partners in January 2017. In terms of International firms, Mayer Brown continues to have the largest office in Hong Kong with 62 partners, followed by Baker Mckenzie (49) and Clifford Chance (34). However, domestic firms in Hong Kong are growing rapidly, and Deacons still tops the rankings with 50 partners, followed by Woo Kwan Lee & Lo (35) and the recently opened Howse Bower Williams (24). 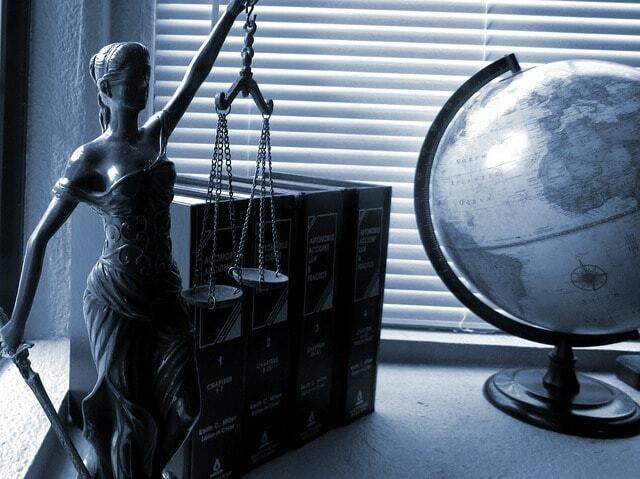 The market produces a variety of work across shipping, insurance, and IP, but the lion’s share of demand for international law firm’s services is corporate and finance. Unlike other financial centres around the World, a large portion of the legal work in the corporate sphere are IPO’s, and this is generally driven by a hoard of Chinese companies fighting to list in Hong Kong in order to have access to international investors from around the world. China’s legal market is growing at an exceptional rate, with China now having 37 domestic headquartered firms in the top 100 global law firms. Hong Kong has accounted for over 10% of the world’s IPO’s over the last 5 years. This was even higher in 2013 and 2014 when this figure reached 20%. The level of transactional activity has increased heavily in 2017 and international firms have fought aggressively for this work. 2017 has also been a year where law firms have repositioned their practices to bolster their position in local markets and to ensure a smooth gateway to China and the rest of Asia. IPO’s undoubtedly produce lucrative assignments, but a major challenge for law firms in Hong Kong is rates and recovery. The culture across China is very different from Japan, Korea or other Asian jurisdictions and international law firms often expect that their high New York fees will be paid in Hong Kong. Very rarely is this the case. According to various sources, all White Shoe and Magic Circle firms drop their normal rates from London and New York by at least 30% when operating in Hong Kong. Hong Kong remains the most popular target base for listing companies in Asia and for M&A in the region. Because of its free market nature, resilient economic conditions, favourable tax rates, well-established infrastructure and highly skilled workforce, it is a hive for transactional activity. Additionally, it has a long-established history that is highly attractive and reassuring to global institutions. The size of deals is also increasing, a reflection of the times that China is rapidly becoming a superpower in terms of outbound investment across the globe. Linklaters recent advising for the US$103 billion merger of Cheung Kong Holdings and Hutchison Whampoa Limited is an example of the Chinese flexing their acquisition muscles with the largest Hong Kong public M&A in history. We will, without a doubt, continue to see Hong Kong as a hotbed for M&A transactions in the foreseeable future, and this makes the region consistently attractive to International law firms. Clifford chance advised the joint sponsors and underwriters including Morgan Stanley, Bank of America Merrill Lynch and Credit Suisse on China Literature’s US$1.1 billion IPO. Linklaters advised on the US$103 billion merger of Cheung Kong Holdings and Hutchison Whampoa Limited. This is the largest Hong Kong public M&A in history. Davis Polk & Wardwell advised China Vanke Co. in connection with its participation in a consortium to acquire all of the equity interests of Global Logistic Properties Ltd. (GLP) for approximately $11.6 billion. Kirkland & Ellis advise CITIC and Carlyle Group’s acquisition of controlling equities in McDonald’s mainland and Hong Kong businesses at a total price up to $2.08 billion. Kirkland & Ellis strengthened Asia Corporate Practice with the addition of Daniel Dusek in Hong Kong from Skadden, Arps, Slate, Meagher & Flom. Mayer Brown expanded global Private Equity and Fund Formation capabilities with arrival of Robert Woll in Hong Kong from Deacons. Stephenson Harwood expanded the corporate practice with M&A, Regulatory Compliance and Capital Markets Partner named Jane Ng from Cadwalader, Wickersham & Taft. The firm also recruited Laurence Ho as Partner in the Private Wealth team from Withers. Ashurst strengthened the Greater China Corporate Practice with PH Chik, a Hong Kong listing specialist. He will be based in Hong Kong and joined from Baker Mckenzie. Orrick grew the Hong Kong M&A and Private Equity Practice with the arrival of Partner Mark Lehmkuhler from Davis Polk. Loeb & Loeb added two Capital Markets Partners in Hong Kong Michael Fung and Alfred Lee from Locke Lord. Simmons & Simmons expanded the Corporate Practice with the arrival of Michael Chin as Partner from Hogan Lovells. Taylor Wessing grew its Corporate and Capital Markets Practice with the appointment of Dickson Ng as Partner from Latham & Watkins. Jones Day welcomed Charles Chau as Partner in the M&A Practice from Morrison & Foerster. After opening their office earlier in the year Seyfarth continued to grow its Corporate Practice with Partner hire Raymond Wong from King & Wood Mallesons. A clear, coherent strategy and business plan is essential in Hong Kong. Unlike other markets, the cost of doing business suggests that it’s too costly to get it wrong. The way business community culture works in Hong Kong, you only have one chance to get it right as General Counsels of corporates, decision makers at powerful family businesses are interlinked and word of mouth is very important here. Office premiums in Central (the business district in Hong Kong) are 75% more expensive than the equivalent area in Manhattan. These high overheads are forcing some Hong Kong based law firms to look at other options. For example, Magic Circle firm Freshfields made a bold move to relocate out of Central to Quarry Bay, which is directly East of Central and takes about 15 minutes in a cab (assuming very low levels of traffic). Baker McKenzie did a similar thing in December 2017 and UK law firm Berwin Leighton Paisner (BLP) actually set the trend by seeking out cheaper office space by moving to Quarry Bay in May 2016. Unlike other markets where law firms can be opportunistic, Hong Kong requires a more proactive approach. This is typically due to the demand for teams of lawyers and well-known Partners but is also because Hong Kong based Partners are more highly rewarded than their contemporaries in Tokyo, London or New York. They typically demand and will receive 40-45% of the fees for the work that they originate/manage – which can be counter intuitive given the high costs of offices. One positive aspect is the cost of younger lawyers. Top tier UK firms in Hong Kong are generally paying on average around HK$1 million per year for a 3 years qualified lawyer, which equates to around £90,000 per year. In comparison top tier UK law firms in London are paying a minimum of £100,000 per year for their associates. There is therefore, a reasonable cost saving here on young lawyers. US law firms however still pay double the salaries being offered by their UK counterparts in Hong Kong. As such, the starting point for a firm to enter the legal market here is to assess the activities of its current clients in relation to Hong Kong and the specific needs of these clients. This will identify the firm’s initial market upon entry. In addition, the firm should be clear about its international strengths and reputation and how this compares to the supply and demand of the Hong Kong market place. Successful international law firms have entered the market by adapting and tailoring their strongest and most reputable practices to the needs of Hong Kong, building a reputation on the basis of a few partners and then acquiring a number of high profile lateral hires. Preparing an individual business case with clients who already have a vested interest in the Hong Kong market place is the key to a successful entry into Hong Kong. In addition, legal listings and rankings play a large role in the reputation building of international entrants into the Hong Kong marketplace. International directories such as the Legal500, Chambers & Partners and Who’s Who Legal draw German lawyers at the top of their professional game. Reputation is therefore key and any strategic miscalculation would be damaging to the firm’s success in Hong Kong. Hong Kong has long been a hub for transactional work and this will no doubt continue to be the trend. What is going to really affect transactional work is the state of global macroeconomic affairs and geo-political uncertainty. Having said that, firms continue to open offices in Hong Kong, such as Seyfarth Shaw and Morgan Lewis & Brockius, proving that significant opportunities still remain. However, there are also firms that have either exited or pulled back from investing not just in Hong Kong, but notably Asia as a whole, such as Cadwalader Wickersham & Taft, Fried Frank and Chadbourne Park to name a few. With the continuous rise of Chinese domestic firms, fee pressure is becoming a serious issue for the profitability of international setups, which is consequently squeezing a number of law firms out of the market, and making them rethink their business focus. Hong Kong remains fiercely competitive. It is a holistic mix of International, Domestic, PRC and Boutique players that fight hard to achieve margin for profit. Law firm leaders need strategic advice to create water- tight business models focusing on their most important sectors and to be very careful in the Partners they’re attracting, in order to generate profitability at levels comparable to other important markets. Mr. Crasner is the Founding Partner of Crasner Consulting. He is one of the World’s most high profile legal search consultants and is a trusted advisor to management teams of law firms. 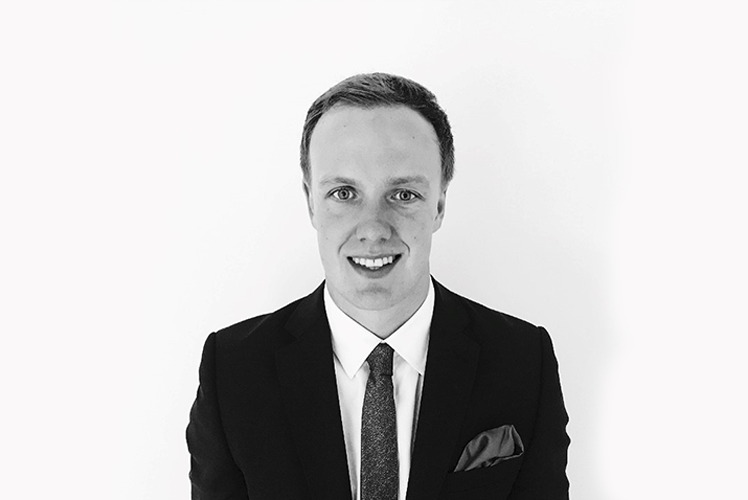 Based in London, Mr Crasner has previously lived and worked in Asia, Continental Europe and the Middle East. 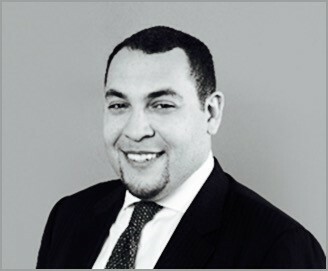 Mr. Crasner has assisted numerous US and UK law firms on transactions across Continental Europe, the Middle East and Asia and has executed assignments in all of the major international legal hubs outside of London and New York. He has extensive experience in the development and project management of large law firm office openings where he helps international clients enter and build up their presence in a given market. Mr. Robertson is an Associate who delivers legal search and management consultancy to leaderships of international law firms. Based in London, Mr Robertson works directly alongside Mr Crasner and assumes has particular responsibility for the firm’s efforts in Hong Kong; which he visits very regularly. Along with Nick Crasner, Jack drives a very stimulating discussion with the boards of law firms and guides them on their ambitions for Hong Kong. According to The Lawyer Magazine. The information in this article is correct at the time of publish. Nothing in this article constitutes management consulting or legal advice. Crasner Consulting in a headhunting and consulting firm and does not offer legal advice. The copyright in all material in this article is vested in Crasner Consulting. You may not copy part of or all of the article without permission from the authors.